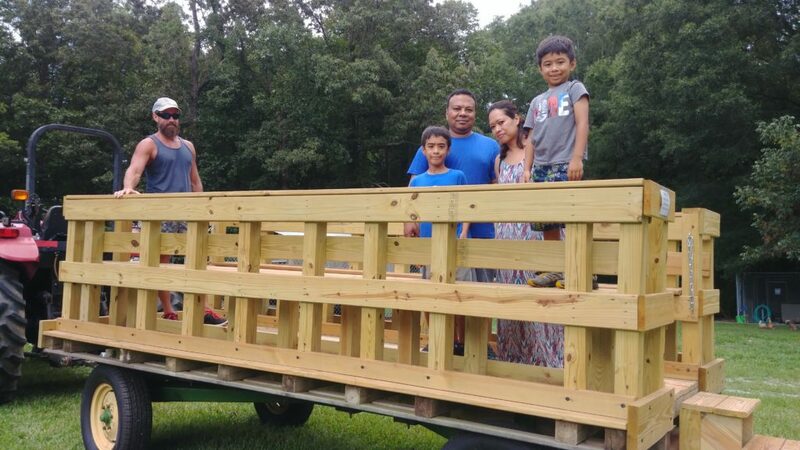 Farmer Bob has been busy getting our hay wagon ready for rides and now we’re adding those to our farm fun on Sunday market days. 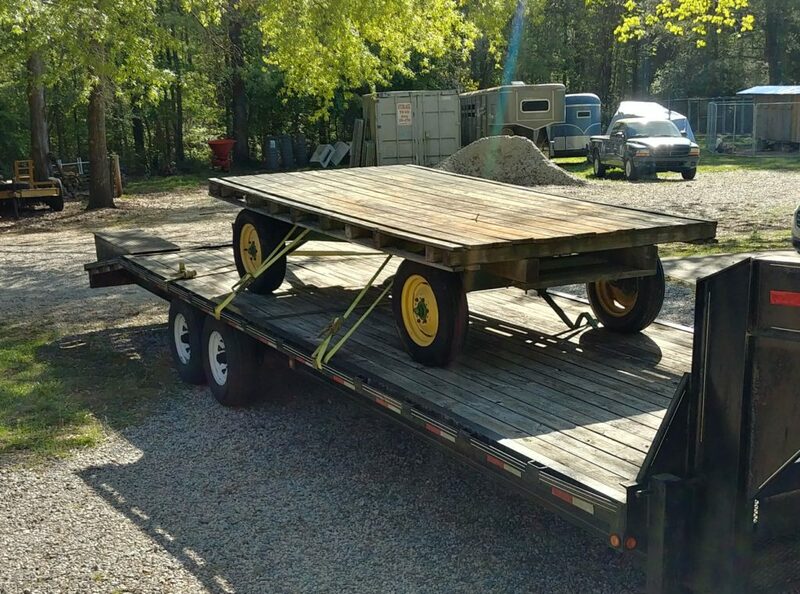 This story began back in the winter, when he found a hay wagon for sale way up in North Carolina. We drove through snow and sleet to see it, and it was several months before he could get back up there to pick it up. It had “good bones,” just needed new tires and all the benches. 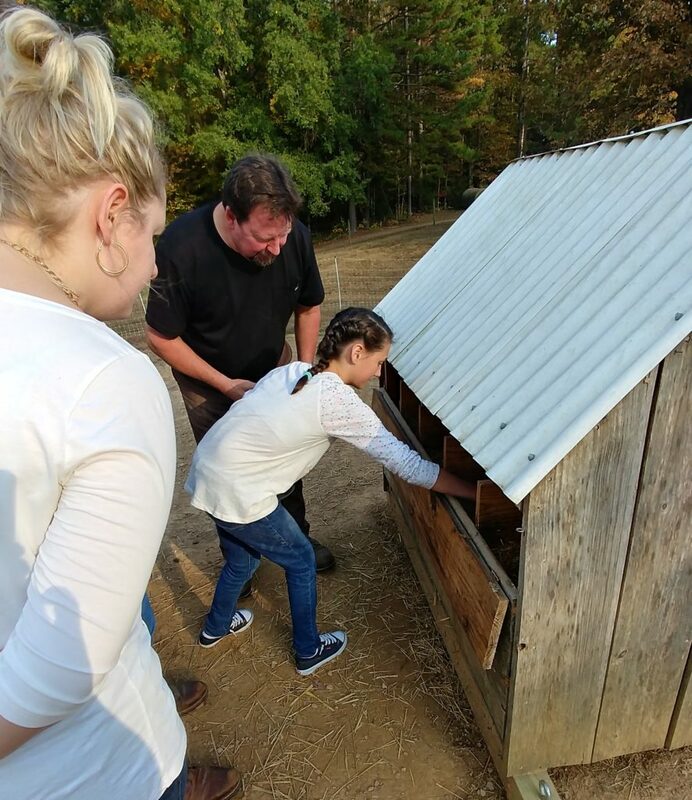 He did lots of research and we contacted our farm insurer to get all the specifications, and he went to work with his saw and nail gun. You can see it finished here. You can also see the back of his big red tractor that he pulls it with. 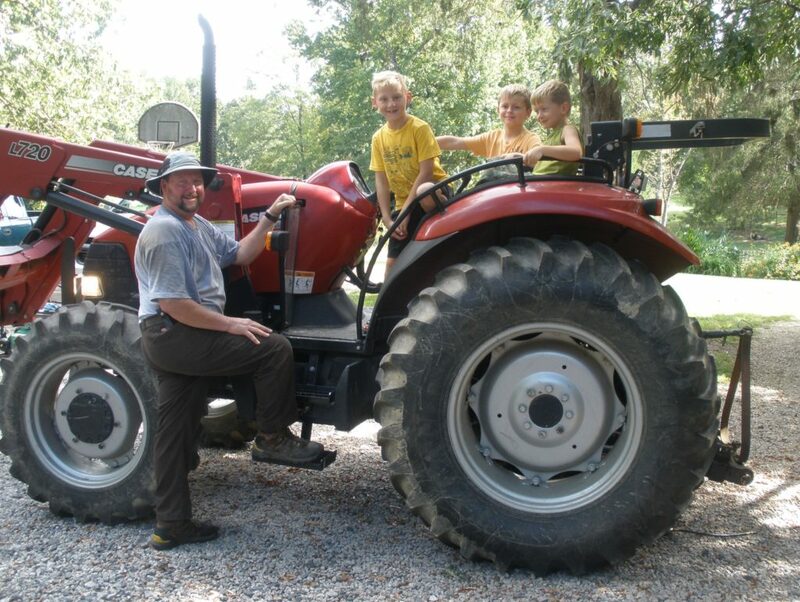 Farmer Bob loves his tractors, and this one is 4 wheel drive and powerful, perfect for pulling our hay wagon! Enjoy the shade in front of the historic cabin. 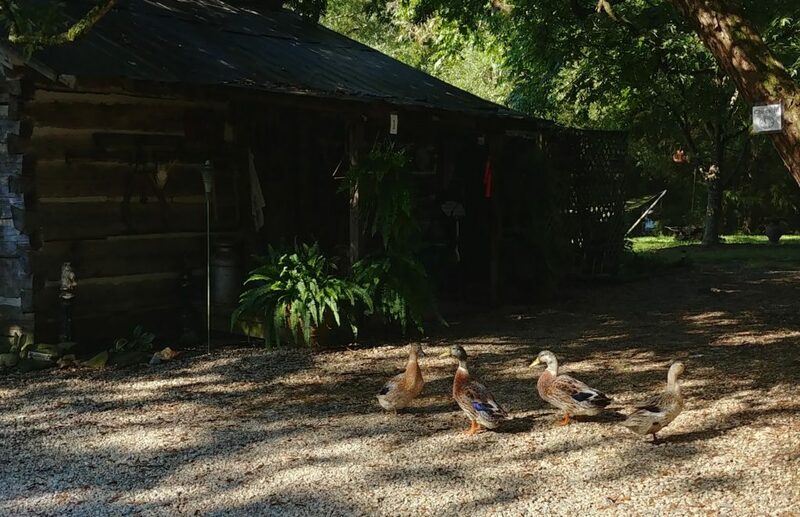 You might be joined by our ducks. We’ll have eggs, honey, soap, and some handcrafted items for sale in our farm market. (Lamb will be available Oct/Nov., we’re sold out right now, sorry.) 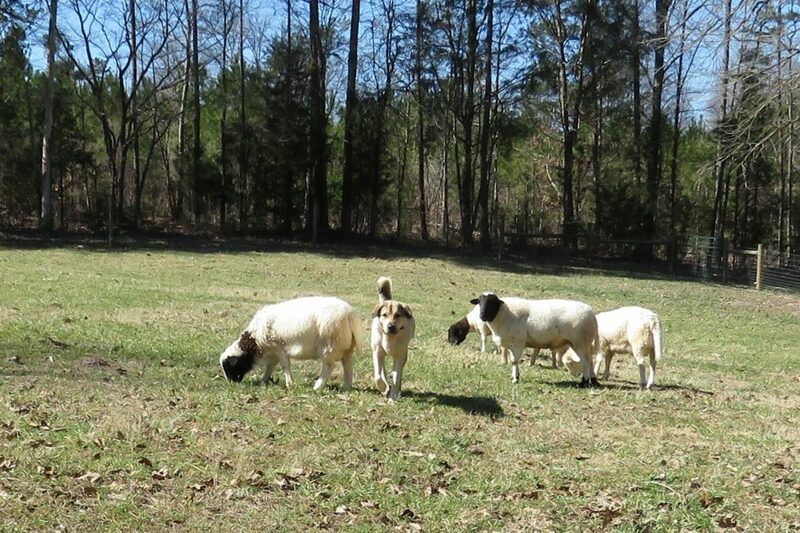 You’ll see our livestock guardian dogs and sheep. 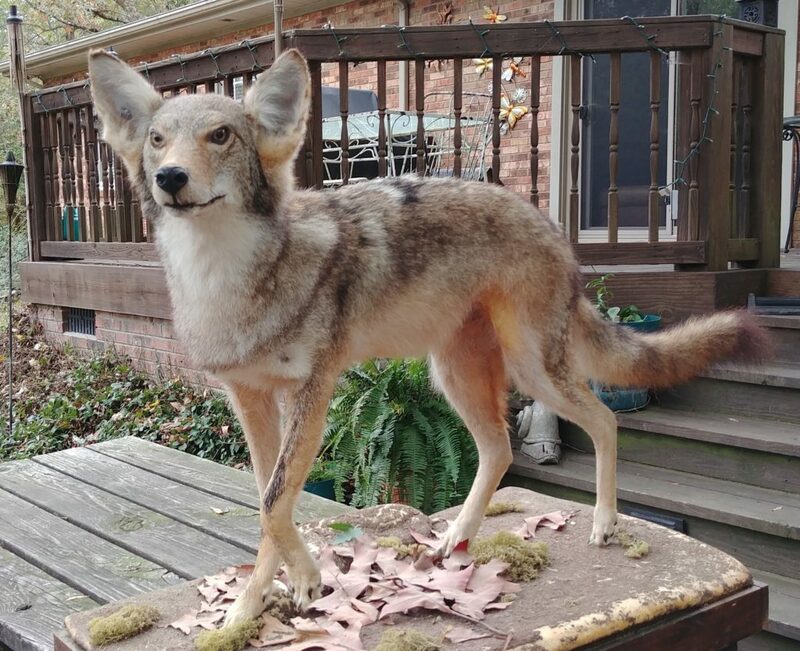 And you’ll see our resident coyote! You’ll feed chickens and pick up eggs. 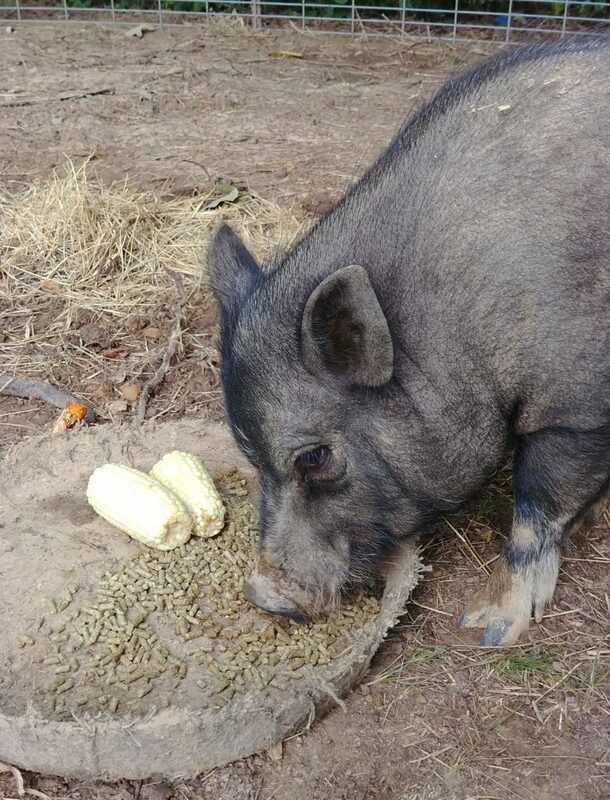 And pet Pork Chop, too! Cookie will great you upon your arrival. 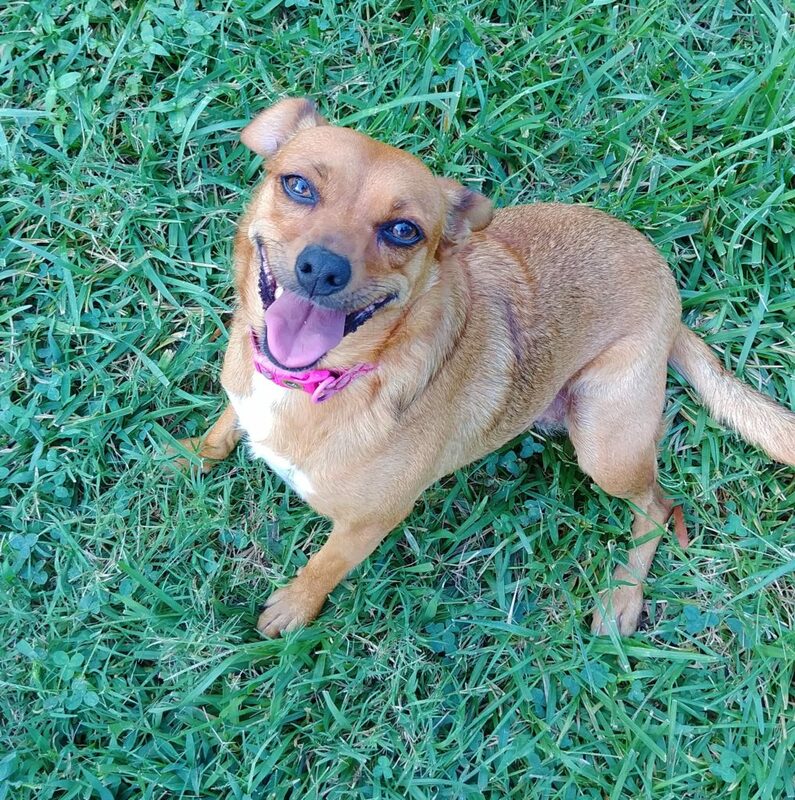 She’s our sweet little brown rescue and she loves belly rubs! 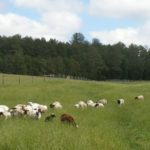 See our dairy goats and pet Martha and Gracie, our tame sheep. Then come pick up your eggs and honey and sit and rock awhile and chat. Where: 5066 Rowell RD, Lancaster. Hours: Sundays 1:00-5:00, except for holidays and special occasions. 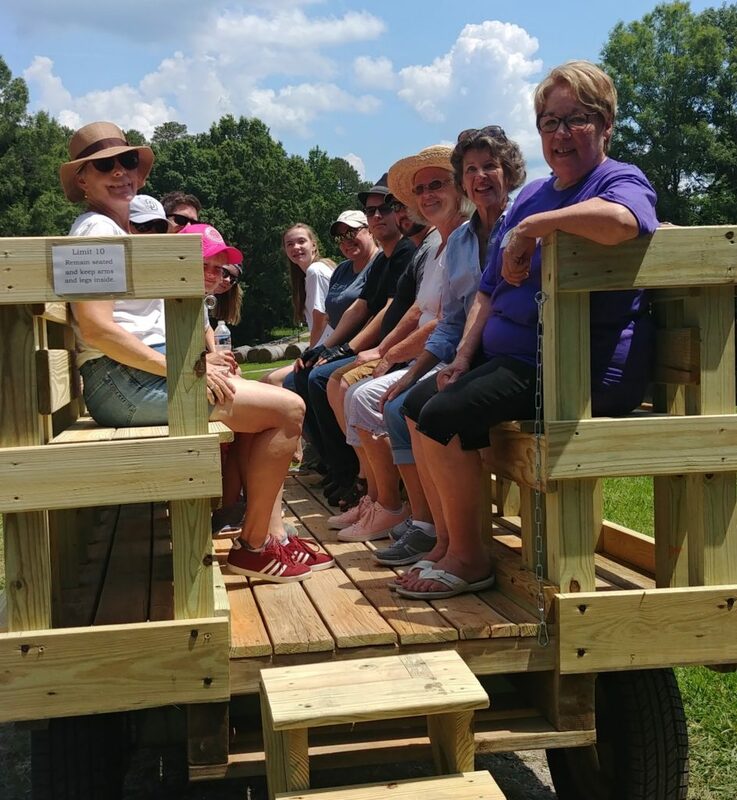 Hay wagon ride tours at 1:30 & 3:00. (Limit 10 per ride. First come, first served or call or text for a reserved space. 803-804-3541 Must be here 15 minutes before tour starts if you have a reserved spot.) Self-guided tours available throughout the afternoon. Subscribe to our blog here to the right of this post=> to get updates and all the latest farm news delivered to your email. Call or text for more info! 803-804-3541. Comfort facilities and hand washing station. Picnic tables. Wagon sure looks great !! Good job, Farmer Bob ! !